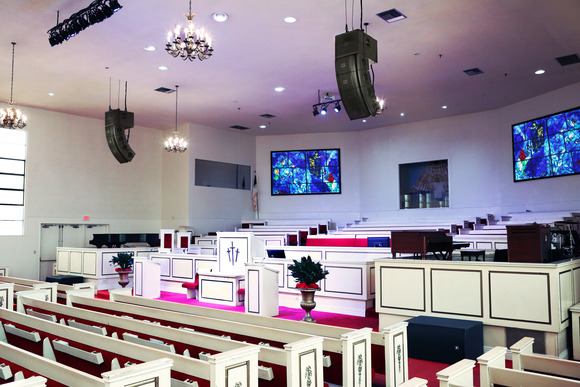 BEAUMONT, Texas, USA - Located at one of its several campuses, the Church On The Rock at the Golden Triangle location in Texas recently acquired a HARMAN Soundcraft Vi3000 console to provide its community with better worship services and broadcasts. 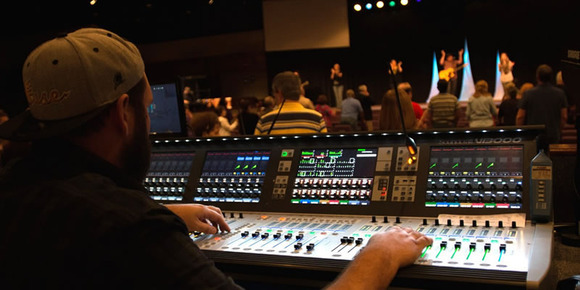 Part of a major renovation project, the Vi3000 is part of a new, streamlined audio system, where the console is being used as the Church's FOH console and for broadcasting. Seating 1000, the Church on the Rock consists of a shallow but wide room, which requires a system that accommodates the 180-degree seating arrangement. 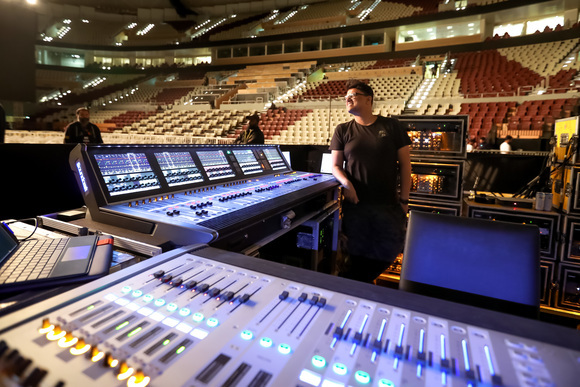 Lead FOH Engineer Blake Sessions took charge of this challenge, and decided that the Vi3000 console was the best choice especially thanks to its MADI and Dante connectivity and channel capacity. "I've worked on the Vi Series consoles before, so I understand how intuitive the layout is on these boards," said Sessions. "The Vi3000 is very flexible as it offers 96 input channels and 24 mono or stereo output busses depending on what we need. Also, being able to run 64 channels with Dante or MADI protocol is very important, because it allows us to link the feeds to our broadcast studio via Cat5 or optical cable." The Church hosts a total of four services between Sundays and Wednesdays, which are tracked and broadcasted from the website churchonline.tv. 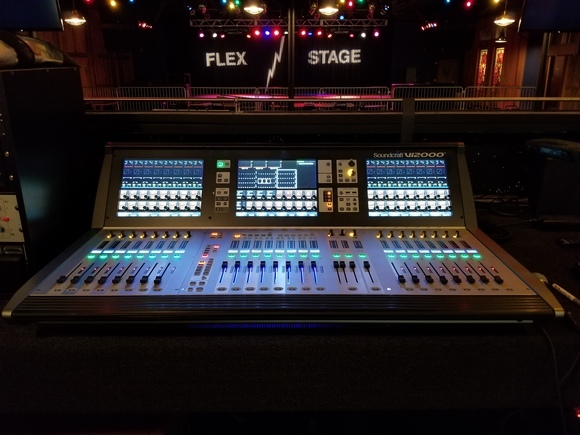 To ensure quality during each service, it needed a console that not only sounds great, but is also easy to learn and use for the newer operators. "We have several volunteer engineers, so it's nice to have a console that has a familiar analog layout and feel," said Sessions. "However, the ease of use does not take away from the performance: the console is a work horse with fantastic pre-amps and abundant capabilities. It's amazing how I can get all that at this price point." After installing the new audio equipment and setting up the Dante network, Golden Triangle Church On The Rock was able to greatly improve their live and broadcast sound departments.